There’s a lot of information out there about color genetics, but unfortunately, a lot of it is hard to comprehend. 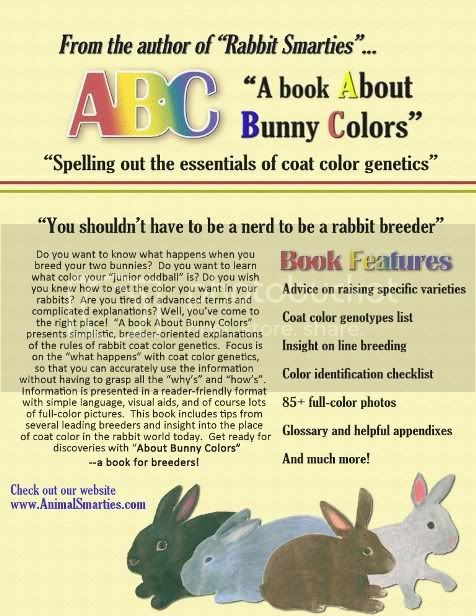 The topic is way too important to be understood only by science majors, so we at Rabbit Smarties are proud to offer you A book About Bunny Colors: the Practical Breeder’s Guide to Rabbit Coat Color. 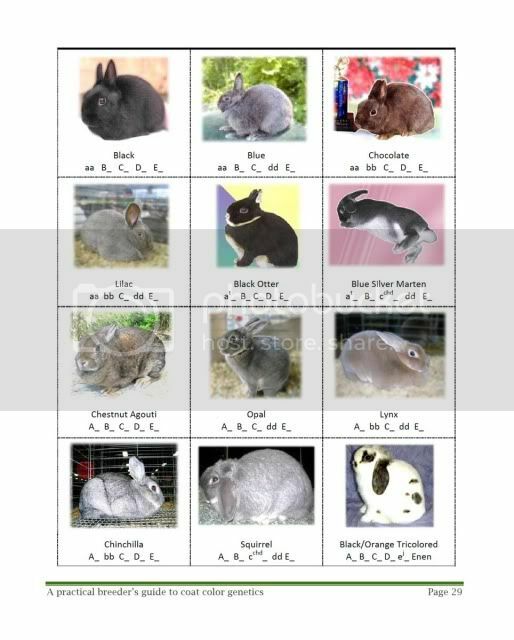 We tackled this project from a breeder’s perspective. 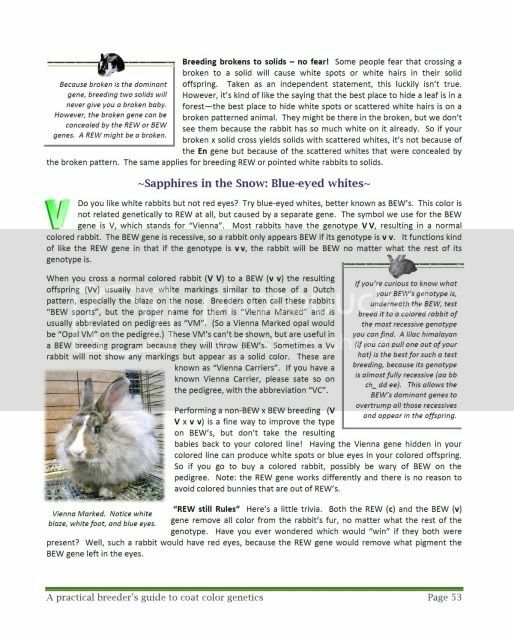 Emphasis is placed on the “what happens” with coat color genetics, not all the scientific why’s and how’s. 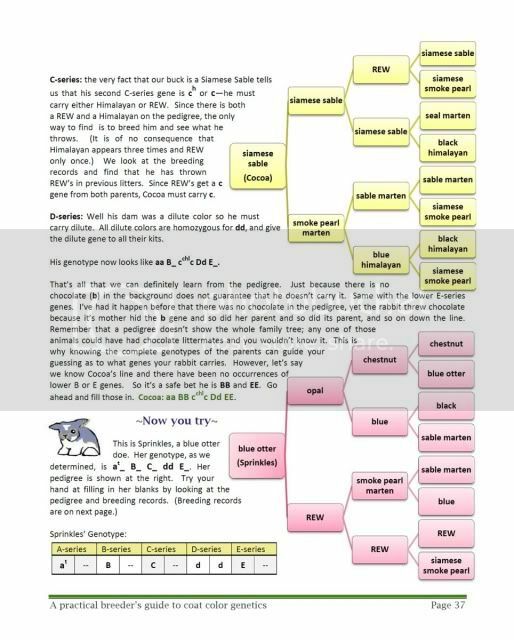 We used a lot of charts and photos to help you grasp the information, and we spell out how to apply it in your breeding. We stress using common sense to understand how to use genetics. 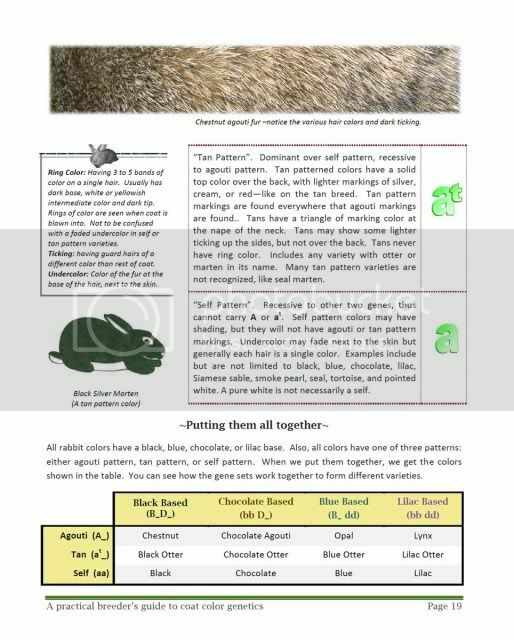 Check out the list of features and the sample pages offered below, and then grab your copy to unlock the mysteries of rabbit coat color!